Measuring the Internet speed on your Android phone can help you in many ways. 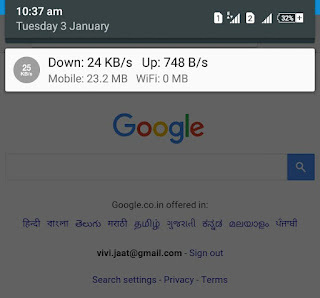 It will give you rough idea about how fast the Internet works in your phone and you can compare the speed of different networks, whether Wi-Fi or mobile network (2G, 3G or 4G). You can also find the best time period when the uploading and downloading speed is at its peak. 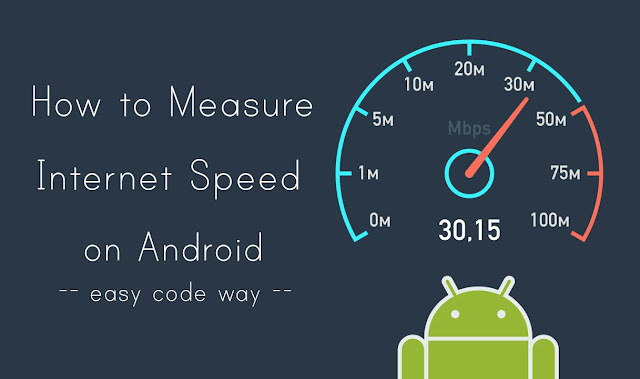 Although Android doesn't comes up with a feature to measure Internet speed in your phone. But you can use other third-party apps for this task which gives more geeky stats about Internet speed. You can also show the real-time data in your notification and status bar. Let's show you how to do this. First install Internet Speed Meter Lite app from Google Play Store and open it. 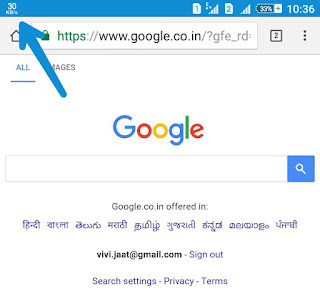 Now app will start showing your Internet speed in status bar as shown in the below picture. Pull down the notification tab and there you will see daily mobile data and Wi-Fi usage details. If you would also like to add download and upload speed in notification, first tap the menu button (three dots at the top-right corner), click "Preferences" option and then tick mark "Show Up/Down Speed" button. 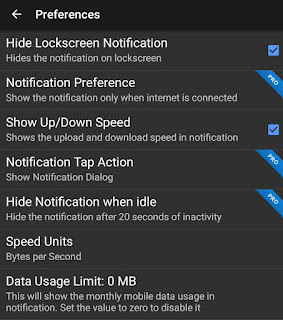 You can also hide the notification from lock screen and set monthly data usage limit. On the home screen of app, you will see your mobile data and Wi-Fi usage report for the last 30 days. If you want to reset stats, just tap the menu button (three dots) and click "Reset stats" option. You can also upgrade this app to get more interesting feature like custom color theme for UI, notification customization, graph monitoring, individual app speed and much more. 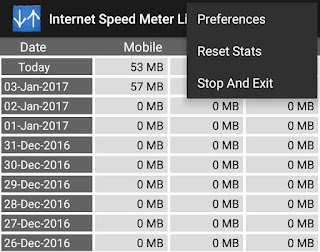 So this is how you can keep track of your Data Usage and Internet Speed in your Android phone with real-time stats. If you would like to add something, please do share it in the comments below.